Theatrical trailer for other films. "Night of the Demon," the 95-minute uncut U.K. release. "Curse of the Demon," the retitled and truncated 82-minute U.S. release. Director Jacques Tourneur was a protege of famed horror producer Val Lewton. Tourneur was on of many directors who learned to frighten audiences under the guidance of Val Lewton. Lewton was one of the rare producers to have his name above the title. Lewton's films scared their audiences by implication rather than on screen shocks. Tourneur took his talents to England in 1957 and directed one of the most atmospheric and frightening occult films ever made. While purists will argue over the appearance of the demon of the title, all agree that the rest of this film is a classic of the horror genre. English psychologist Dr. Harrington (Maurice Denhem) leads an investigation and exposé into the practices of local cult leader Dr. Karswell (Niall MacGinnis). Harrington drives through the night to confront Karswell. "Call it off Karswell" Harrington pleads. Harrington now believes. His faith comes too late. Karswell sends the doomed man away. At the stroke of 10 PM a demon manifests from the woods outside Harrington's home. Harrington is ripped to pieces. 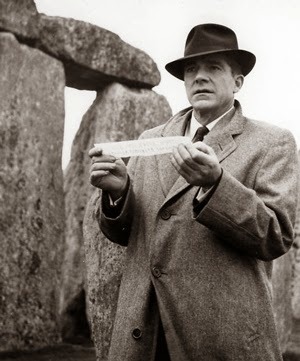 Dr. John Holden (Dana Andrews) is an American psychologist. He is flying to London to meet with Harrington and help in the expose of what he thinks is a charlatan. Holden discovers when he arrives that Harrington is dead. Holden decides to carry on Harrington's work. Karswell meets the skeptical scientist and tries to dissuade Holden from his investigation. Holden persists and Karswell passes a parchment with Runic symbols on it. Holden will die at 10 PM three days hence. What follows is Holden's investigation into Karswell's practices. Will Holden also come to believe in Karswell's power? Will it be too late for Holden also? I'll leave it for you to discover. Released in 1957 "Night of the Demon" was very well received. 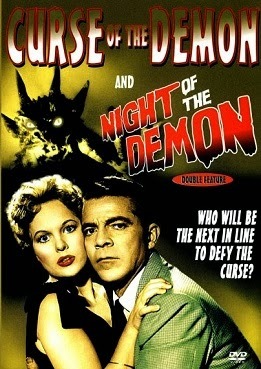 The next year, a cut version of the movie was released in America under the title "Curse of the Demon." The American version is 13 minutes shorted than the original British release. Sony Picture Classics had the original film restored and now offers both versions on a single DVD. "Demon" benefits greatly from a sharp and sarcastic script by Charles Bennett and producer Hal Chester. Dana Andrews's character is full of wry witticisms. They come fast and furious the more be comes to believe in the powers of the occult. 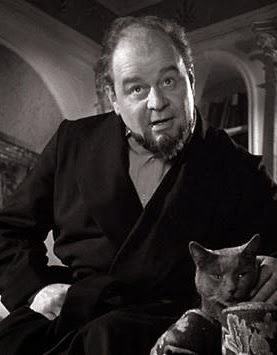 Director Tourneur was a master of black and white movie making. His "Out of the Past" is considered by many (myself included) to be the best example of "Film Noir" ever made. Tourneur uses light and shadows to build a creepy atmosphere. There are several scenes that will have your heart racing. The movie is best watched at night with the lights out. I interviewed horror film director Curtis Harrington some time ago. 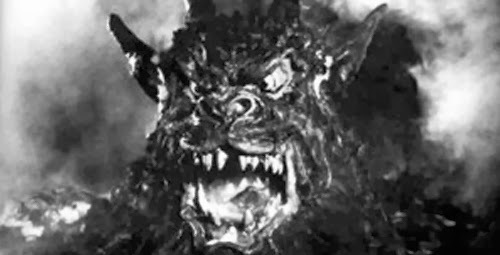 He felt that the appearance of the "Demon" at the end of the movie wrecked the film. Tourneur was forced to show the demon by producers who had less faith in the power of implied terror. This was the age of big movie monsters afterall. I like the monster. It has a terrifying design. I also agree that the movie would have worked just as well without the beast. Either way, "Night of the Demon" is a creepy classic worthy of a place in any horror film fan's library. Both the uncut and cut versions of the film work. I'm glad that the original has been restored as that was what the filmmaker wanted his audience to see. The movie is one of the best cerebral fright films ever made. Great movie, picture and sound. No extras to speak of. This restored masterpiece should be watched with the sound off just to appreciate the art of Jacques Tourneur. Sony did a magnificent job restoring the film. There are no artifacts or shimmering. The grayscale is excellent. During the children's party scene, Karswell conjures up a windstorm to convince Holden. You can almost see the different colors of the leaves as they swill around the terrified partygoers. No delineation problems. This is great as you may enjoy the textured shadows in which evil lurks. Great stereo sound! The remastered sound adds greatly to the tension of this film. Odd sounds come from both sides of the room as spooks and demons play with your imagination. The finale in the train station is a standout as train whistles, screams and the demon all converge at the same time to chill your blood. Fare design using colorized artwork from the film. Easy to navigate. No extras unless you include the trailers for "Fright Night" and "The Bride." I guess the extra on this disk is the fact that it includes two movies. A must have for horror film and film noir fans. One of the best British horror films of the last century has been finally restored. A bit expensive, but horror film fans won't mind the price.